Strawberry is one of the fruits that has great potential both nutritionally and economically but remains unexploited. 96% of strawberry produced in Kenya is grown in three counties namely; Nyeri, kiambu and Kirinyaga. Out of the 47 counties, only 3 are major producers of strawberry, these leaves a lot to be desired. Strawberry growing is fun, takes a shorter period to mature (3-6 months) and can be grown by both small scale and large scale farmers. Even those who have no adequate land can enjoy eating fresh strawberry grown in containers, sacks and pots. As per the Horticulture Validated Report 2012 by HCDA, USAID and the Ministry of Agriculture, the potential for increased production of strawberry is immense due to ready market in the food processing industry. It is noted that the major constraints to increased production of strawberry are lack of suitable day-neutral varieties, inadequate quality planting materials, pests especially birds and limited knowledge on appropriate agronomic practices among growers. Our mission is to empower communities to enable them diversify into fruit farming by providing quality growing material and the necessary knowledge, skills and extension services needed. We believe that the best way to learn more on strawberry production is by practically engaging in strawberry growing. There is a growing demand for strawberry, more people especially the youth should be encouraged to engage in the production of strawberry and value addition. 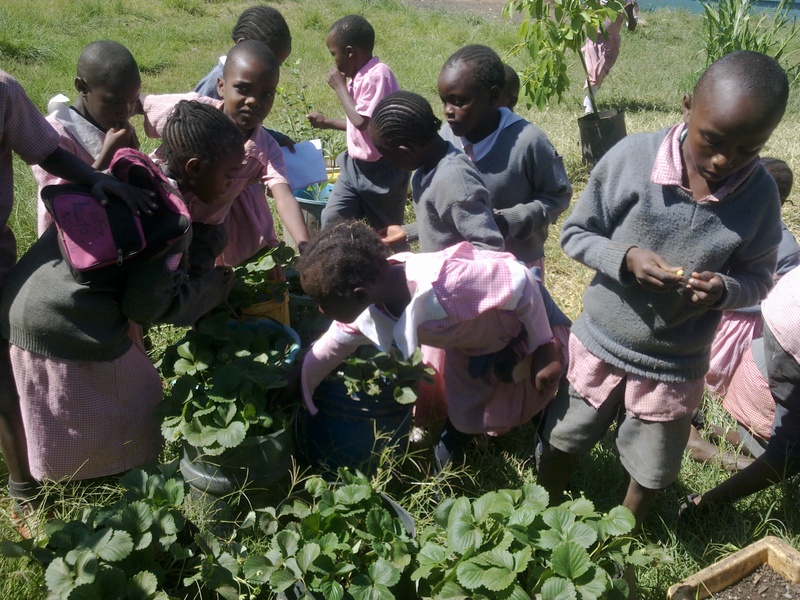 We initiated strawberry container gardens project to sensitize schools and community members in urban areas on the importance and benefits of strawberry farming. We have taught learners on how to grow, manage and propagate strawberries so as to produce quality fruits and seedlings that can be sold for income. We do hope learners will use the knowledge and skills gained to engage in strawberry farming as an economic activity. -Select sites with good water drainage and air circulation. 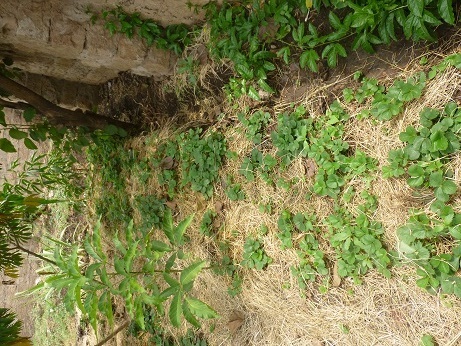 -Plant only disease and insect free seedlings. -Apply thick mulch under and around plants. -Harvest fruit promptly and cool it to protect from fruit rot. Posted on April 15, 2014, in Environment. Bookmark the permalink. 2 Comments. Very informative. Already giving a try. Very educative. Already giving a try.